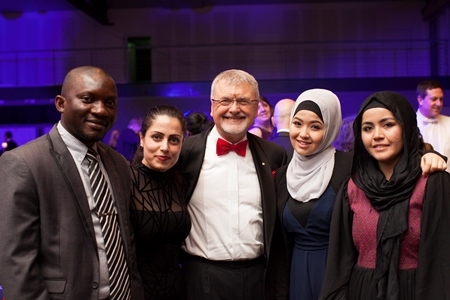 Western Sydney University was shining bright and put on a brilliant showcase of Western Sydney talent and inspirational stories at the inaugural Town and Gown Dinner on Saturday 29 October 2016. The University hosted over 670 guests at the dinner including the Prime Minister, The Hon. Malcom Turnbull MP and his wife Lucy Turnbull AO and some of the most prominent business leaders from across metropolitan Sydney and beyond. The focus of the Town and Gown Dinner was to raise funds for refugee scholarships. The School of Medicine have celebrated over a decade of support from the Rotary Club of Narellan, who first made - first making a pledge to support in 2006, before the School was even operational. Talal Yassine, the Managing Director of Crescent Wealth and Secretary of Crescent Foundation is partnering with Western Sydney University to support Refugee Scholarships - and he wants to bring the whole Western Sydney community along for the ride. 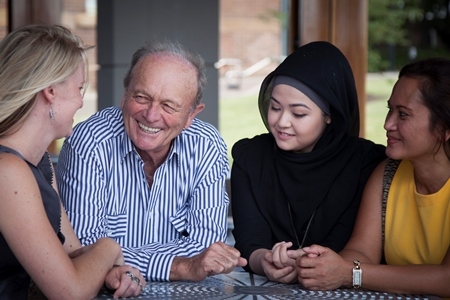 Western Sydney University welcomes the generous support of Harvey Norman in funding the Harvey Norman Scholarship Program which aims to recognise excellence in Western Sydney and help students realise their potential.